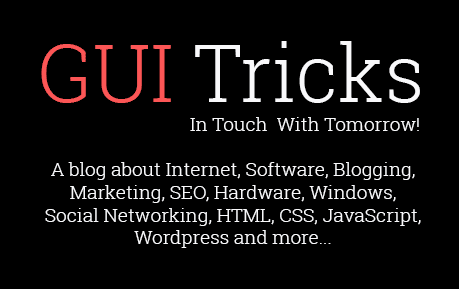 How To Build A Company Culture That Matches Your Brand | GUI Tricks - In Touch With Tomorrow! 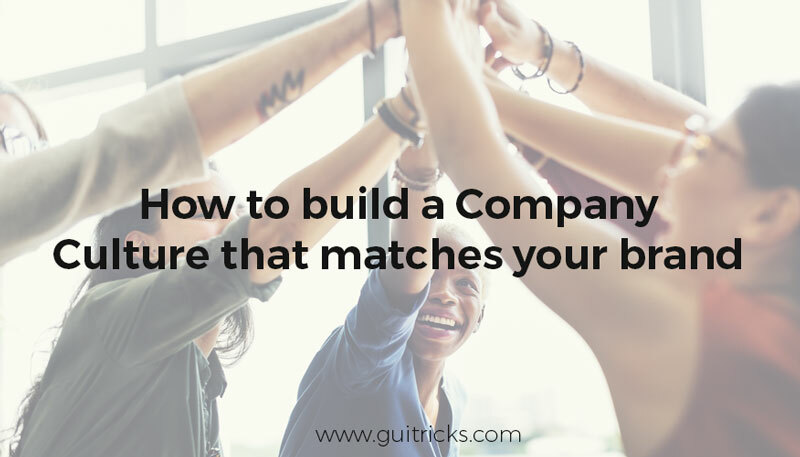 How To Build A Company Culture That Matches Your Brand - GUI Tricks - In Touch With Tomorrow! Building a strong company culture is a tough nut to crack. More often than not you will see businesses trying to simulate the culture of more successful and established companies. They are of the mentality that if it worked for the big guns, it is bound to work for us. What these copycat businesses don’t understand is that the so-called big guns of the game also had a small start, and it is the company culture they adopted in the initial stages that helped them become successful organizations in the future. Amazon became Amazon because of the people that worked for them. The efficient working of those people happened because of a good workplace culture. Another thing that businesses have to understand is that your workplace culture has to be one with your brand values. Your brand is all about what you stand for as an organization, and your workplace should reflect that. As a business, you can only succeed if your brand offers something in the market no other brand can; be it regarding products and services, or core values. The individuality of your brand is imperative. The same is the case with your workplace culture. This is the reason why imitating the culture of other organizations is not a good idea. They have a different brand, which makes for a different work culture. The culture worked for their organization doesn’t mean it will work for you, because (hopefully) your brands are different. While building a culture that matches your brand is difficult, it is not impossible. With enough hard work and dedication, it can be achieved. And if you objectively see how vital branding and culture has proved for successful organizations, it is safe to say that it is worth the time and effort. Here are a few tips on how to build a company culture that matches your brand. The first (and yeah, obvious) step to building a company culture that matches your brand is to define your brand. This step is as important as it gets. As a business, you cannot have a brand for the sake of it. You have to have an active core value system that determines your branding. As a business owner, your brand should reflect your personality traits. Your brand is the face of your business; you have to make it as personal and honest as possible. If you have a reliable brand in place, having active communication about the brand is an equally important step. You cannot keep your brand image on the back burner and put all your focus on day-to-day business activities. It should be out there, and all your employees need to acknowledge and accept it. Once your team accepts the brand values and image, it will shape the culture of your company almost subconsciously. In your part, you have to make efforts in ensuring that your workforce feels one with the brand image of your company. Once there is active acknowledgment and communication about your brand image within the organization, your company culture will take shape according to it naturally. With the right hiring, half of your job is done. In an ideal situation, you would get an employee that is exceptionally skilled and is a natural fit in your workplace culture. Although cases like these rarely occur. But, if you had to choose between a skilled worker and a better culture fit, always go with the culture fit. The reason being - you can always teach the skills on the job, but you cannot change the inherent value systems of a person. Especially in a professional sphere. In the hiring process, keep your brand values in mind and hire employees accordingly. If you hire for culture, it will not only create a great work atmosphere(resulting in higher return on investments) but also create a team that reflects your brand image. This is, perhaps, the one step that will ensure that your brand values seep deep within your company culture. If you as a leader are one with your brand image and behave accordingly, it is only a matter of time your team will start behaving the same way. Leading by example is a rule of thumb for all leaders irrespective of their different domains. Incorporate your brand values in yourself and take measures to behave according to it. It will be much better if your brand reflects your true personality, then you only have to behave naturally and honestly and the team will follow. Not a lot of businesses realize it, but your brand and workplace culture actually go hand in hand. To prosper and grow, all you have to do is ensure smooth functioning of the two, and you will be on your way to becoming the next big thing in the market.